Ole Gunnar Solskjaer has tantalised fans by saying he is already planning the club for next season, despite not yet securing the permanent job as Manchester United manager. This led to speculation that the prodigal son had leapfrogged Tottenham’s Mauricio Pochettino as the frontrunner for the role. 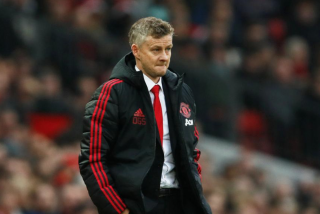 Solskjaer has not put a foot wrong in his audition and has already set his eye on the team’s preparation for a more sustained title challenge next year. One would hope that he will be in the process of identifying the team’s Achilles heels, notably in defensive and midfield positions. To chuck a curveball into the mix, what could Solskjaer do to enhance United’s attacking options? In this article, we speculate that very matter. One huge tick in Solskjaer’s box is entrusting Marcus Rashford as his main striker, consigning the previously virtual ever present Romelu Lukaku to a supporting role. 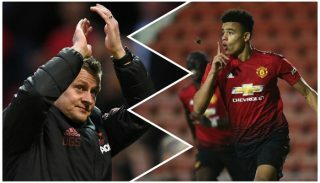 Solskjaer is evidently, and very openly admitted, working on Rashford’s composure and end product. The stats vindicate that faith and hard yards, with Rashford in a rich vein of form. He is on the way to rubberstamping that number one status and, according to respected Telegraph reporter James Ducker, Rashford is in talks over extending his contract with a deserved pay rise. This is wonderful news and Solskjaer is convinced Rashford will go to the very top, so you would imagine United will not be desperate for a new striker, with the England international making the position his own of late. This is by no means an obituary for Romelu Lukaku, who let’s not forget managed to bag 27 goals in a turgid United side last season. Whether he will accept a bystander role remains to be seen, but Lukaku is an out and out goalscorer and, as long as he buys into the new ways, can still have a bright future at United. With Anthony Martial’s long-term future also secure, he joins Rashford in representing two talents that can write themselves in footballing history over time. He looks a certainty for that left sided berth, given Alexis Sanchez’s continued trials and tribulations. Sanchez, as documented on Monday, is reaching a critical juncture in his United career whereby he needs to rediscover that old verve which made him stand out at Arsenal. It is another discussion whether he will be afforded the time or patience to achieve that. There does appear to be a vacancy on the right side of midfield to compete with the dynamic industry Jesse Lingard provides. There are high hopes for academy products Tahith Chong and Angel Gomes, with a pining for them to see more regular action in the first team never too far away. 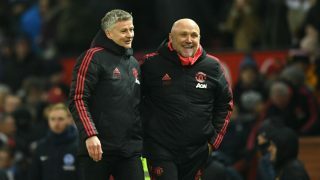 They would not be the immediate answer though, especially with lingering doubts over Juan Mata’s a) contract situation and b) suitability to the new approach. A dream move for Kylian Mbappe should Paris Saint-Germain be hit by FFP sanctions or depriving Tottenham of possibly their star manager and star winger following him to Manchester Heung-Min Son seem improbable to put it kindly. 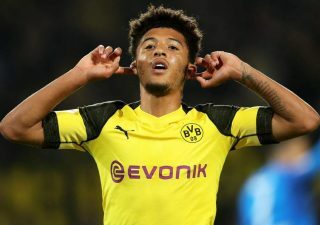 Players such as Dortmund’s rising star Jadon Sancho, once of neighbours City and Bournemouth’s Welsh sensation David Brooks are earning rave reviews in their respective countries. Both players are the kind to excite fans in terms of their style and ability and would satisfy the much coveted homegrown criterion. 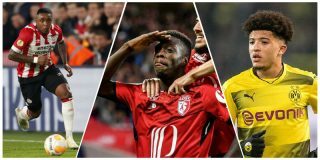 Across the continent, those more in the know are endorsing the talents of Nicolas Pepe, Ismaila Sarr and Steven Bergwijn, all of whom have been linked with future careers in England, Bergwijn in particular with United, as reported by the Manchester Evening News. 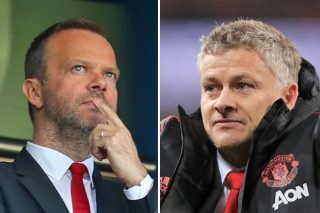 The rumour mill will keep rumbling on from now til the end of the summer and it’s important United finally recruit well after years of sub-par investment and intense speculation surrounding the hiring of a director of football. Who would you target to sign for United’s right wing, or will one of the current crop be your choice?